I always knew I wanted the The Rock Chick quad, it was just a matter of time. The ‘rock chick’ is focal point of the Charlotte Tilbury aesthetic, and it’s actually shades I do not have a many of, in my collection. Well, I now have it. It is everything I have come to expect from the CT shadows. 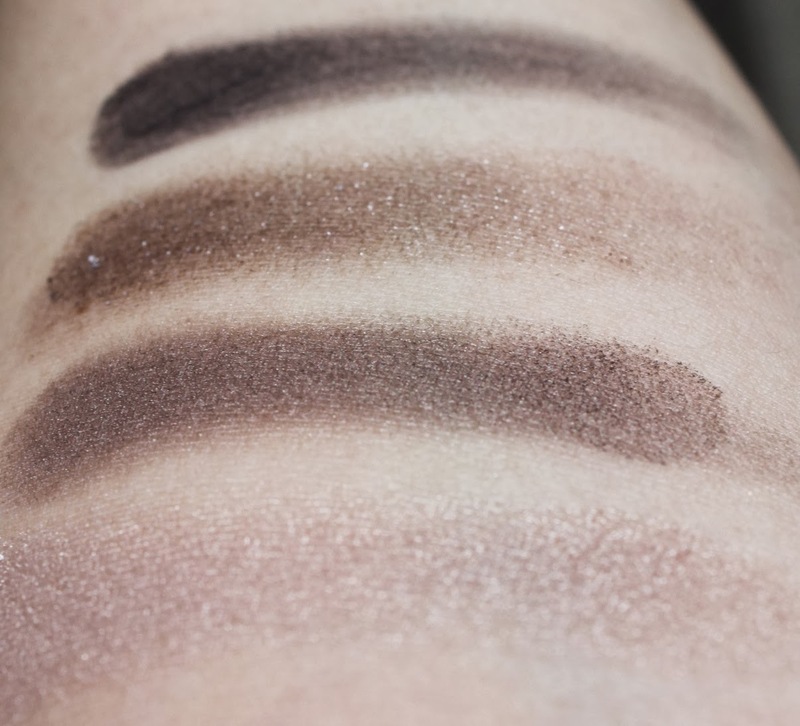 To recap my previous nattering’s, the textures of all four shades are creamy, pigmented and a dream to blend. In fact I think they blend themselves! The Rock Chick is a wearable tonal grey palette, with good contrast between the shades. At first, I thought it would be a dupe for Tom Ford Titanium Smoke. If memory serves Tom Ford Titanium Smoke is definitely more cool. The Rock Chick has more in common with the warm grey ‘taupiness’ of TF Silvered Topaz, which will be easier to wear for more skin tones. I have done a quick comparison with the grey quads I own and I hope they give a good point of reference. I have worn it softly for a modern day look as well as packed on for maximum impact. I have only worn it a few times, but I am smitten. The shades have a mix of finishes. The prime shade (top left) is soft silver with a iridescent finish. It gives a soft focus wash of colour that opens up the eye area. The Enhance shade (top right) is a mid tone warm grey. It has a satin finish with a lovely sheen to it. The ‘POP’ shade (bottom left) is a glistening silver sparkle in a taupe grey base. The Smoke shade (bottom right) is a glorious silky matte intense dark grey shade. The shades look cooler in the pan, but swatch warmer. As the light changes so do the beautiful colours of the palette, which reminds me of Tom Ford She Wolf. The Rock Chick is my kinda gal! What is your go to palette for an effortless rock chick vibe? Beautiful!!! It also looks reminiscent to Tom Ford She Wolf a bit, no? The textures do look absolutely top notch. Yes it has She Wolf written all over it! I cannot fault the quality- the glitter stays put and the colours stay put till they come off. I only have two more quads till I complete the collection- must love them something fierce! Its is very similar- I think I will have to eventually get TF Titanium Smoke for extremely cool greys. Have you collected all the CT quads yet? This palette makes it easy! If you have access to Charlotte Tilbury products, best you check this out asap!